In this article featured on Entrepreneur.com, Michael Feuer adds his thoughts about what it takes to build a stellar team at a high-potential startup venture. 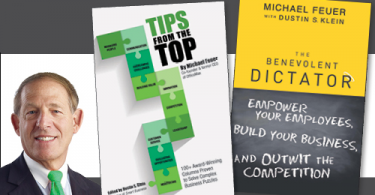 When you’re in a big company, volume covers a lot of sins,” notes Michael Feuer, serial entrepreneur, co-founder of OfficeMax–which he sold for $1.5 billion in 2003–and author of The Benevolent Dictator: Empower Your Employees, Build Your Business and Outwit the Competition. “In a startup, you can get to bare metal after one mistake, and not everyone is suited for that environment.” But that doesn’t mean you should hire only Type A players–you need leaders and followers, he says.